A silent protest is held in front of the Ministry of Justice, targeting polygamy, child brides, and divorce. In 2009 a reform committee was set up to look at Islamic marriage. Women seek “justice and equality". 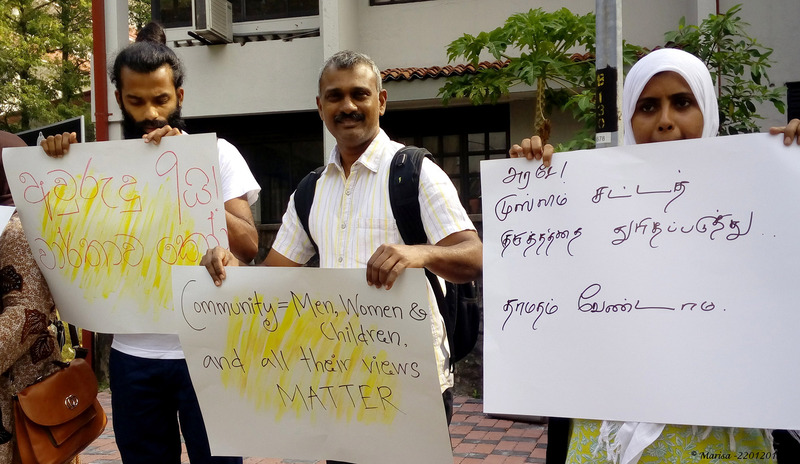 Colombo (AsiaNews) – A group of Muslim women on Monday stood in silent protest against the country’s Islamic marriage law which discriminates against women. 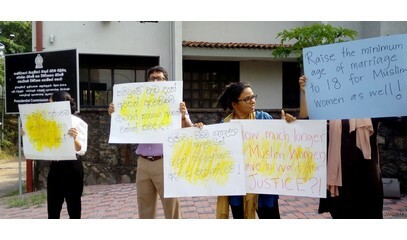 Organised by the Muslims Personal Law Reforms Action Group (MPLRG), the rally was held in Colombo, the capital of Sri Lanka, near the Ministry of Justice. Protesters urged Justice Minister Thalatha Athukorale to recognise their right to "justice and equality". 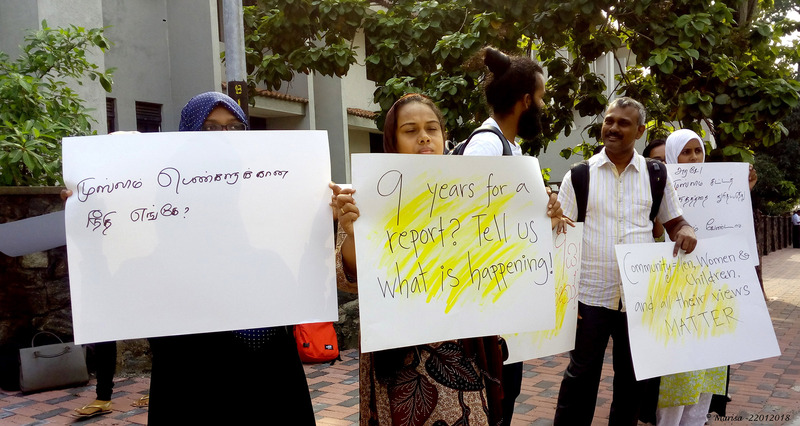 They want the Ministry to update the status of a report on Islamic marriage that has been nine years in the making. Muslim marriage comes under the Muslim Marriage and Divorce Act of 1956. The MPLRG complains that it "contains discriminatory and unfair provisions that affect Muslim women and girls". The law has no minimum age of marriage, includes unequal provisions and procedures for women to register marriage and divorce, and provides for unconditional polygamy. For decades Muslim women have protested against this unfair treatment, demanding changes to the law. Several government and independent commissions have been appointed to address the issue. Finally, in 2009, the Minister of Justice set up a 17-member committee to review the provisions deemed discriminatory and propose amendments to the law. However, so far nothing is known of what it has done. The MPLRG complains that "Muslim women continue to be regarded as second-class citizens, unequal to men in matters of marriage and family. Reform must ensure justice and dignity – starting with our homes and families."